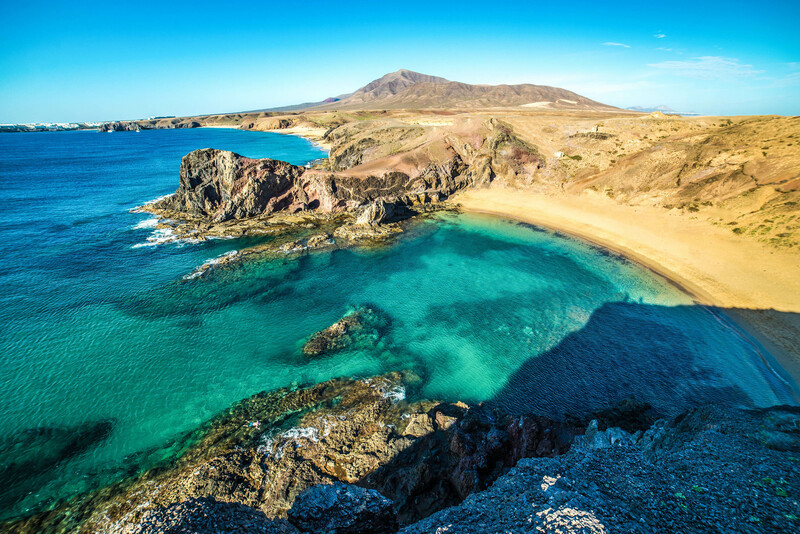 With a pleasant year-round climate blessed with warm water temperatures, a periphery that combines sheltered bays with exposed, windy beaches, not to mention incredible visibility, Lanzarote has long been a favourite destination for water sport enthusiasts. From snorkelling to scuba diving, surfing to kayaking, just about every water sport under the sun is available on the beautiful sun-drenched island of Lanzarote. If scuba diving is your chosen water sport activity, you’ll be pleased to know that Lanzarote is scattered with scuba diving schools. These schools offer courses for all levels of scuba divers, ranging from beginners to experienced. Off the south coast of the island is an Underwater Museum in the Bahia de las Coloradas. Scuba divers can explore this 2,500-square-metre underwater area, though they must have a PADI certificate and be accompanied with a certified diving school. Techno Diving Lanzarote is a popular diving school, where fully-qualified instructors assist divers of all abilities in exploring the beautiful underwater world which lies off Lanzarote’s coast. This energetic island also caters well for surfers of all levels. Hailed as the ‘Hawaii of Europe’, surfers won’t find it difficult to locate a dream surfing spot on Lanzarote’s exhilarating coastline. This surf-obsessed island is home to many famous surfing spots, including La Santa, Orzola, Jameos del Agua and San Juan, to name just a few. The prime surfing season on Lanzarote is from November to late March, when waves can reach as high as 4.5 metres. Another favourite water activity on the popular Canary Island is kayaking. A whole host of kayaking activities are available on Lanzarote, ranging from kayaking the surf on a beach to longer tours out at sea, exploring the many hidden coves of Lanzarote. For the more adventurous still, jet ski hire is available at larger resorts like Playa Blanca and Puerto del Carmen. Kite surfing is another popular water sport activity on this spirited island. Designated beaches including Playa de Famara offers kite surfing lessons for surfers of all abilities.